Southampton resident and Stony Brook Foundation Trustee Dorothy Lichtenstein has made a $1 million gift to Stony Brook Southampton Graduate Arts programs. 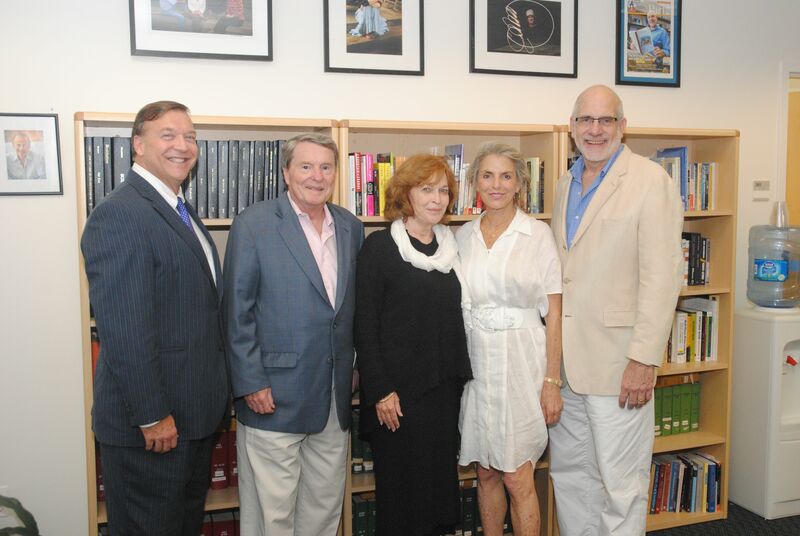 The gift was announced on July 17 during the annual Southampton Writers Conference opening night, which featured a conversation about writing with former PBS News Hour anchor and novelist Jim Lehrer and his wife, novelist Kate Lehrer. Ms. Lichtenstein, President of the Roy Lichtenstein Foundation, is a longtime supporter of Stony Brook Southampton Graduate Arts programs; first as a frequent audience member at events and then as a writing workshop participant. Stony Brook University President Stanley said Ms. Lichtenstein’s generosity is a testament to the institution’s ongoing commitment to excellence across disciplines and campuses. The mission of Southampton Graduate Arts is to build a community of graduate programs that promote collaboration among creative disciplines that foster exploration of artistic expression outside traditional program borders, and that continuously and effectively support the creation of original work in creative writing, theatre, film, and visual arts. With this generous gift, Southampton Arts can move forward on several important initiatives, including the David Rakoff Studio Theater, scholarships for students, and the launch of a digital filmmaking program. As President of the Roy Lichtenstein Foundation (est. 1999), Ms. Lichtenstein advances the Foundation’s mission to encourage and support a broader understanding of the work of Roy Lichtenstein and his contemporaries. Ms. Lichtenstein has been active in the New York art scene since the early 1960s and serves on a number of boards including those of the Parrish Art Museum, the Trisha Brown Dance Company, and Studio in a School, a program that sends professional artists into New York public schools. She is also a recipient of the Chevalier of the Order of Arts and Letters from the French Ministry of Culture and Communication.